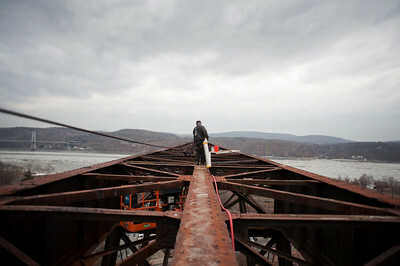 The lead H&B work truck sleeps for the night on the old railroad bridge being re-purposed into 'Walkway over the Hudson' on December 21, 2008, with Poughkeepsie, NY, in the background. 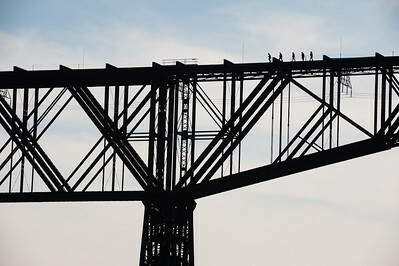 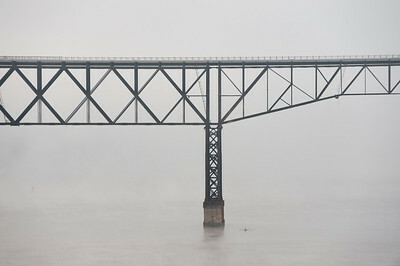 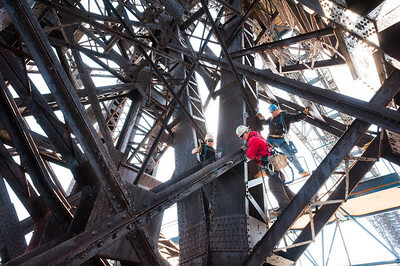 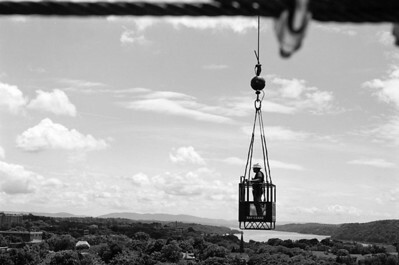 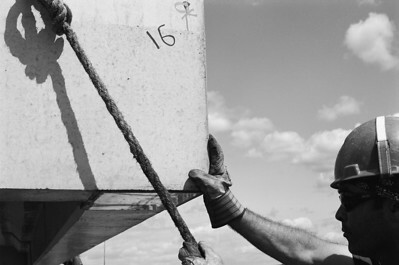 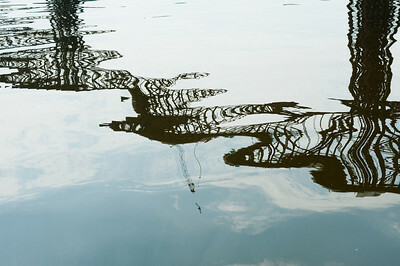 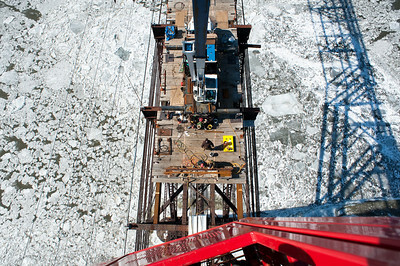 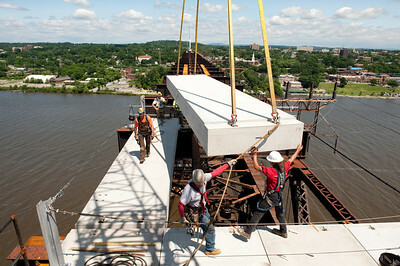 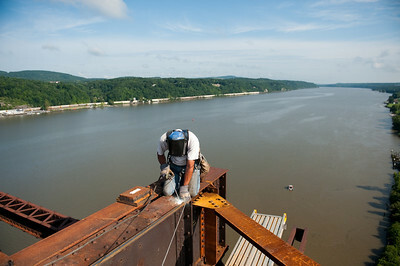 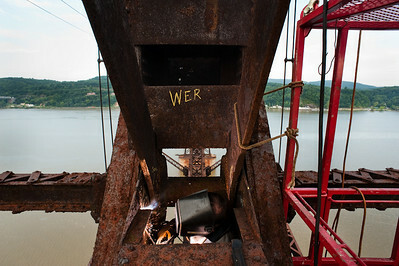 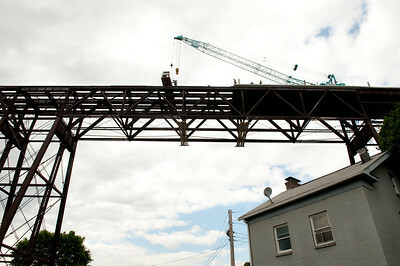 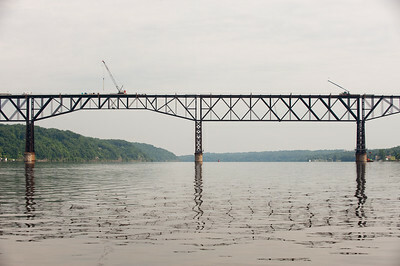 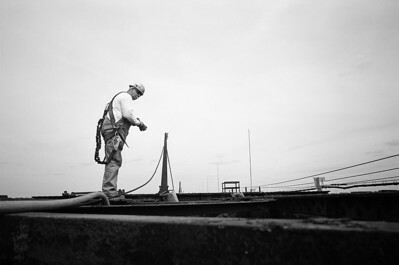 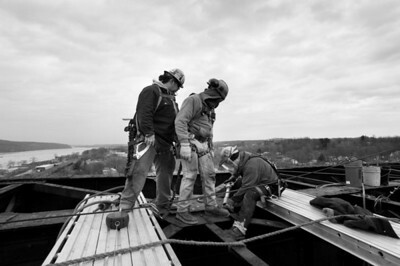 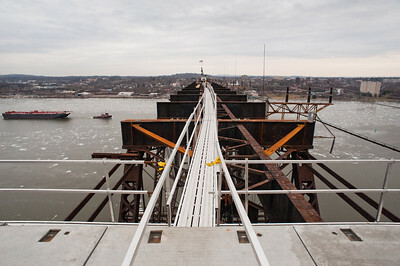 Workers replace steel on one of the spans across the Hudson river seen below. 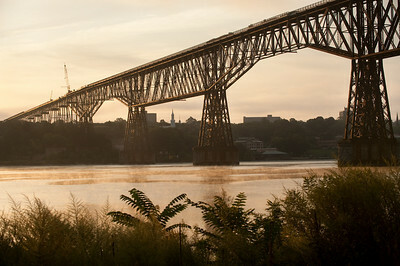 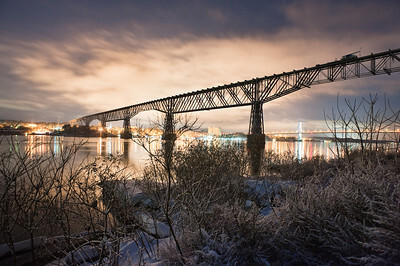 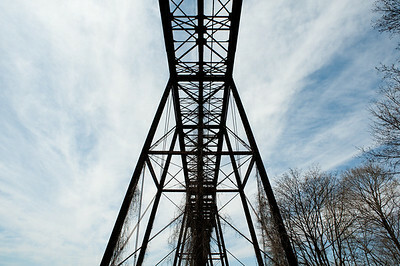 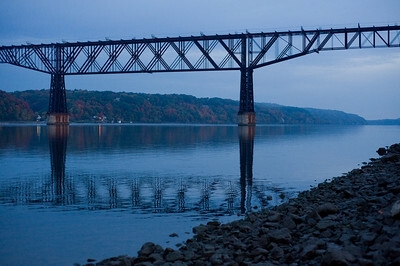 The old Poughkeepsie railroad bridge that was re-purposed into the NY State Historic Park, Walkway over the Hudson. 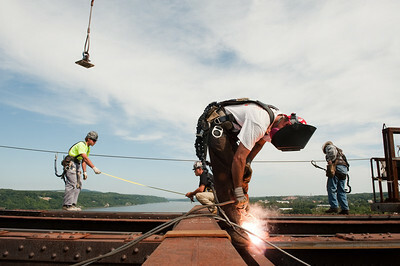 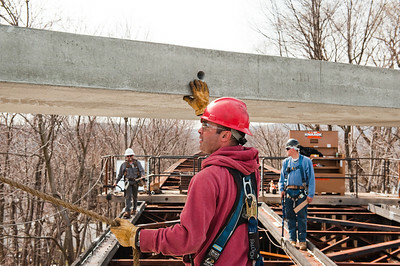 Workers replace steel in one of the piers supporting the old Poughkeepsie railroad bridge that was re-purposed into the NY State Historic Park, Walkway over the Hudson.